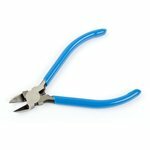 Micro cutting pliers (125 mm) with ESD safe handle for cutting copper wire up to 2.0 mm. 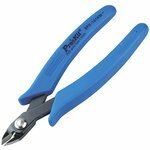 Precision cutting pliers are great for precision plastic and copper (1.2 mm) cutting. 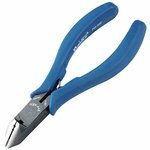 Side cutting pliers with black oxide finish 6"; OAL: 160 mm. Micro cutting pliers are designed for cutting copper components (1.6 mm), hard steel (0.8 mm) and mild steel (1.3 mm). 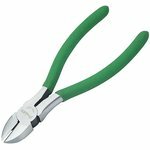 Heavy Duty Cutting Pliers (145 mm). 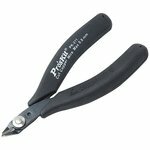 Quality precision tool designed for fine assembling and adjustment operations on electronic circuits. 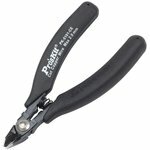 HRC 50°~55°. 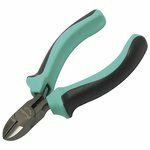 Capable of cutting copper to 1 mm in diameter. 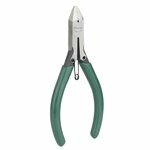 Designed particularly for electronics and precision tasks. 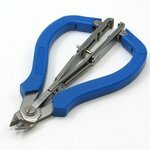 2-in-1 wire cutter & stripper. 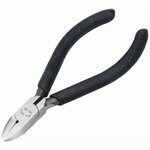 Application: wire cutting up to 1.2 mm, wire stripping 0.4~1.6 mm. 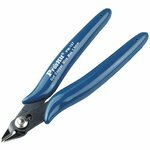 These pliers are made only for cutting plastic. 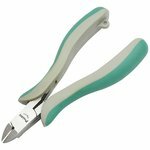 It is used for cutting even small plastic components. 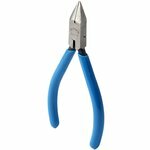 Micro cutting pliers with safety clip are designed for cutting copper components (up to 1.6 mm) and mild steel (up to 0.8 mm). 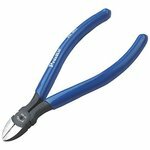 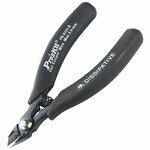 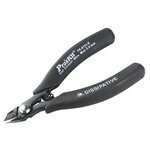 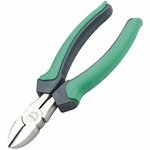 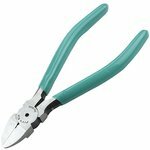 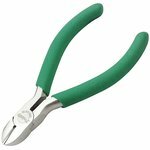 These pliers are suitable for cutting copper wire (ø 1.0mm).